If you’re tying the knot over the festive season, there are plenty of ways to jazz up your décor theme with a little Christmas sparkle and make it a double celebration. Some loved up couples will be adding to the Christmas cheer this year by hosting their wedding over the holiday period. The snowflakes, holly and tinsel definitely add to the feel good factor, not to mention the décor scheme. If you are inspired by such festive additions, your 2016 destination wedding in Thailand may just be the perfect place to try them out. Even if you’ve always dreamed of a cosy, Christmas wedding; there’s really no reason why the tropical surroundings of the Thai Kingdom can’t provide the perfect atmosphere. Below are a few ideas for brides and grooms-to-be on how to incorporate a seasonal feeling into your wedding theme. While a wedding in Thailand guarantees plenty of sunshine, it’s fair to say that you’re highly unlikely to encounter any snow. If you’re hosting your Christmas wedding at a private holiday villa, however, there’s no reason why you can't create your very own winter wonderland theme with soft, white flowers. 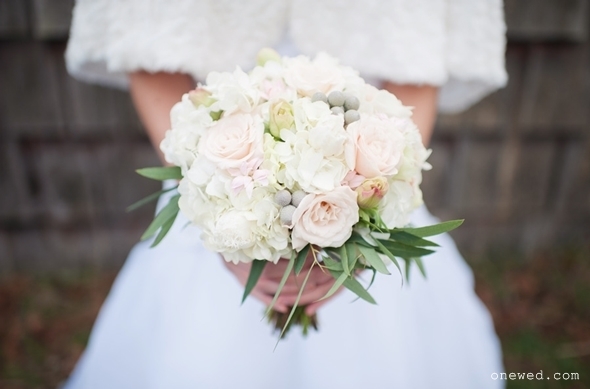 White blooms provide a graceful, elegant look, and a soft floral bouquet will look a lot like a sparkly snow puff when it’s carried down the aisle by your ring bearer. 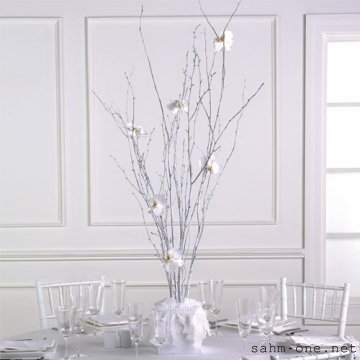 For a Thai twist, hang white orchids around the venue to create the effect of falling snow flakes. Flower arches are growing in popularity with brides and grooms that want to establish a pretty floral focal point for their photographs. If you’re planning on having some photos taken in front of a floral wedding arch, add some Christmassy sparkle by introducing some hanging crystal decorations to mimic the effect of icicles. 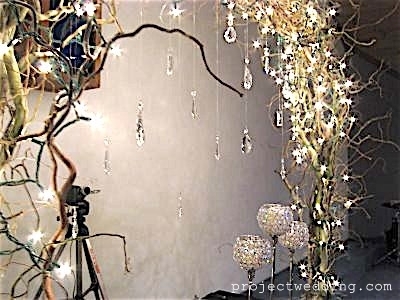 Once night has fallen, you can give your own wedding winter wonderland even more wow factor by intertwining some bright white fairy lights between the hanging crystals. While a festive theme can be a lot of fun to create, mini Christmas trees embellished in red, white and gold aren’t for everyone. Brides and grooms that want to break away from the traditional look can opt for silver painted wooden centrepieces instead. Not only do these wintery installations look minimal and chic, they can be dusted with glitter to create the magical effect of snow fall – even when you’re in the tropics. Some soft blue up-lighting will complete the frozen look. For many festive couples, the chance to go for an all-out Christmas wedding theme is too tempting to resist. It’s simple to create a colour palette of scarlet, emerald and white hues without requiring traditional sprigs of holly. 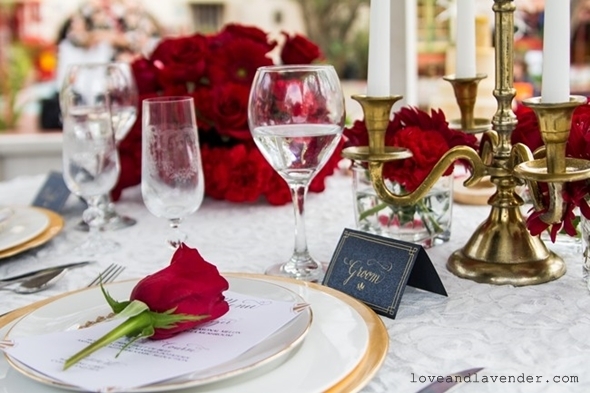 Adding gorgeous red roses on each place setting is a great way to introduce a warm splash of colour. In the centre of each table, you can also fill wooden or glass vessels with red berries and dust them with fake snow. Mix it up with pine cones and cuts of greenery from your villa’s garden to complete the look. Once night has fallen, lighting plays a major role in highlighting the key focal points of your décor scheme. If you’re going for a magical wintery wedding, candles are the simplest way of achieving a warm, golden glow. 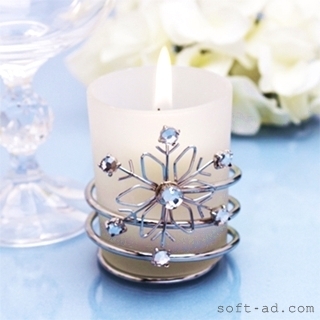 Jazz up regular candles by placing them in elegant snowflake candle holders. Not only will this add extra sparkle, but it will also create a pretty motif that can be continued through all of your wedding stationery. Invitations, place settings and the table plan could all be decorated with silvery snowflakes.